Two new Vice Presidents of Girlguiding Shropshire have been announced. At the annual county training day and annual review last weekend, Girlguiding Shropshire proudly welcomed two new Vice Presidents: Jane Wardropper and Liz Aveston. 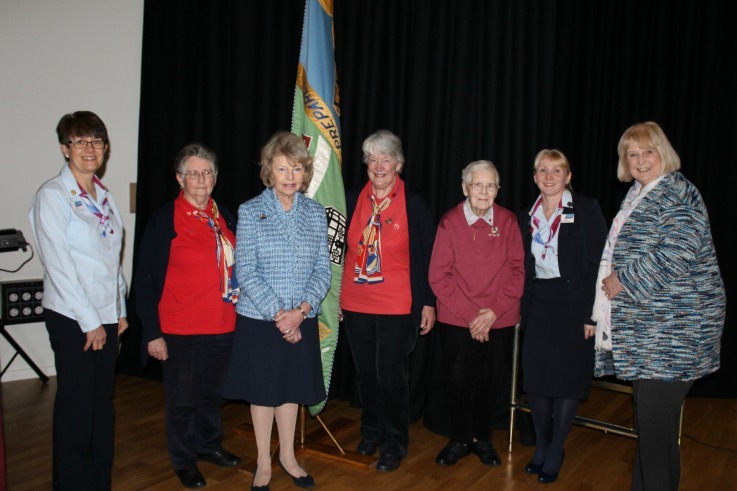 Lady Heber-Percy, President of Girlguiding Shropshire presented the new VPs with their badges. Our annual county training day combined a review of the events and exciting activities which have been offered to members of Girlguiding Shropshire over the past twelve months, along with an afternoon of training sessions on a number of topics including first aid, programme ideas and the use of technology and social media. 107 leaders from across the county attended sessions during the day and took advantage of the decision to make all 2016 training sessions freely available to leaders across the county.